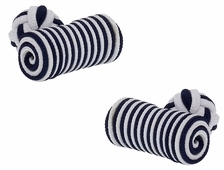 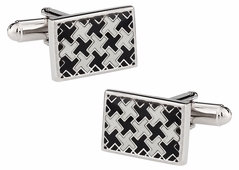 The Kaleidoscope Black and White design from Cuff-daddy are an interesting design that mimics the exact toy they are named for. 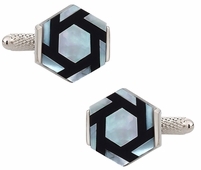 Instead of looking down that long tube you can stare at the sheer beauty of your links. 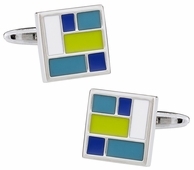 Perhaps you are the type to go against the grain and take on a little color even when you should be in all white. 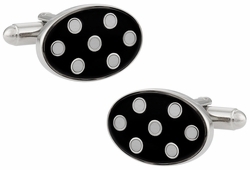 There is nothing wrong with making a statement with your clothing and ensuring your sense of style appears. 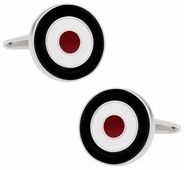 If the Kaleidoscope is still to mundane for being black and white you have the Rich Red White Enamel set. While the background of this pair is white, it offers a unique design in red that helps bring a little color and fun to your white slate. 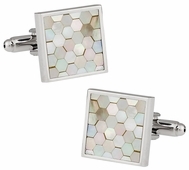 From white silk that offers sophistication to Swarovski crystal that heightens the beauty of a French cuff shirt, you can find just about any fascinating style of white cufflink to fit your needs from matching the dress code at a party to breaking the mold at the office. 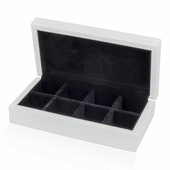 Searching for elegant wedding accessories? 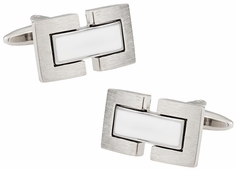 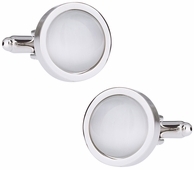 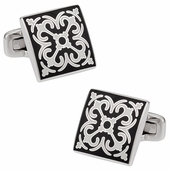 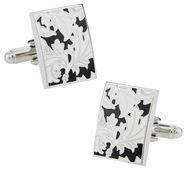 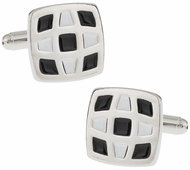 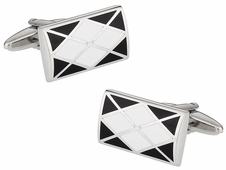 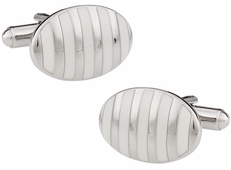 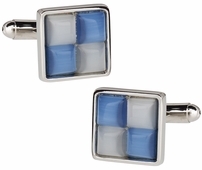 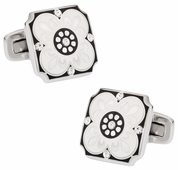 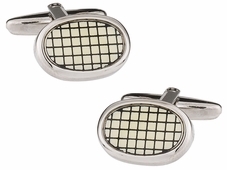 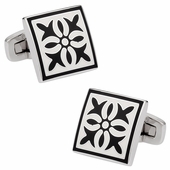 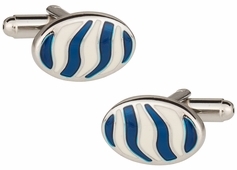 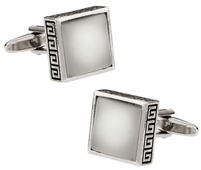 Take a look at our selection of white cufflinks. 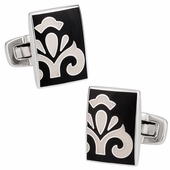 These classic styles are ideal for a variety of formal events. 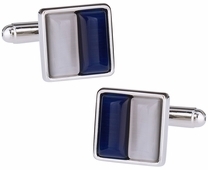 We have clear crystal cufflinks that will give your formal attire a bit of shine at the sleeves. 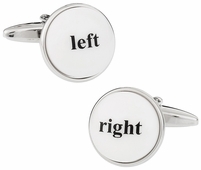 If you're looking for unique gift ideas for men, you can't go wrong with our exceptional collection of novelty discount designs. 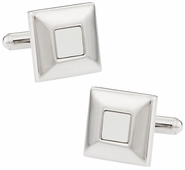 Is your favorite color white so why not accessories with some uber cool white cufflinks? 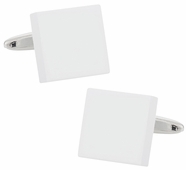 Perhaps you are going to a wedding that requested an all white dress code? 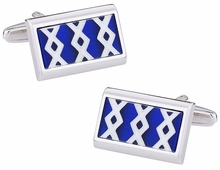 Anything can happen in your life where you might need a set of white cufflinks. 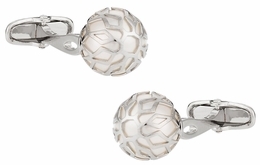 You might think white is boring or how can they just be white? 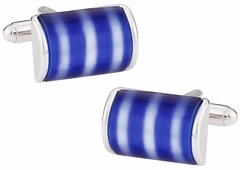 The most popular color car is now white. 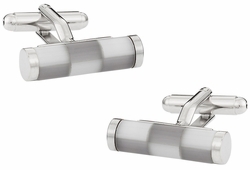 No more little, red corvette, white is here to stay. 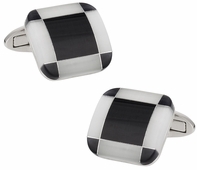 Truth is there are a number of interesting and innovative designs that go beyond white. 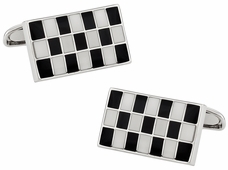 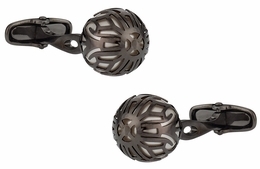 From mother of pearl links that offer a white face with silver stud to the kaleidoscope of black and white you can find something that fits your unique needs and style.